SiteGround has been in the industry for more than a decade, and I must say, they are hated by few, loved by millions. I never heard of any hard, brutal negative reviews about them and so I decide them to test and here comes our SiteGround Review. The title says it all. None of the companies achieved this uptime rate and SiteGround truly needs an applause here. Check the uptime of SiteGround from August 2016 to till date. We keep monitoring demo sites for every 60 seconds to check for downtime and the results are absolutely stunning. 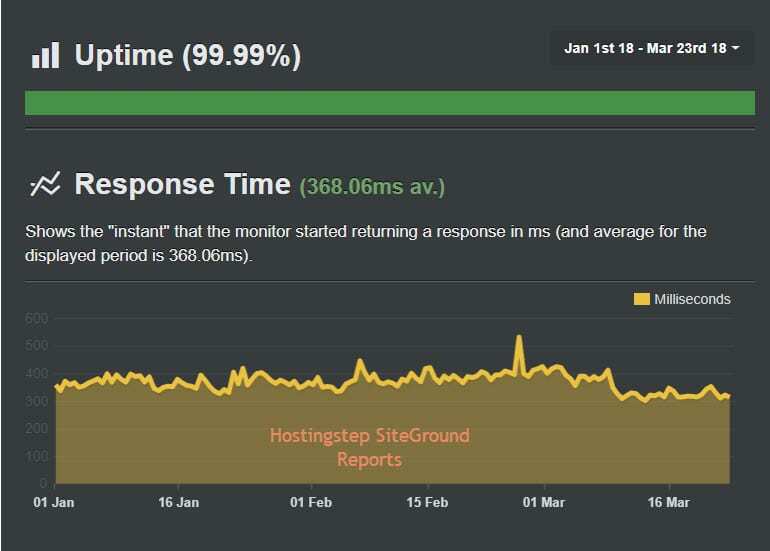 Just roll back and view the response time for 2018 and really SiteGround is the #1 hosting company providing quality hosting par ahead of other companies. Stunning right? The response time is constant between 300-400ms for the past 15+ months. I would be happy if you help me to find another hosting company that offer such an impressive speed and uptime for just $3.95/month. Really, I just thought to write the above title alone leaving (10/10) because I bet you can never experience such a customer support with any other hosting company. The customer support team is well trained on all aspects particularly towards open source softwares like WordPress etc. Do you think, I'm over hyping? Just get through https://www.siteground.com official website and connect with live chat. I bet you'll get connected to a representative in seconds. Just try it, yes do it now. SiteGround got awesome uptime, speed and customer support. what else do you expect from a web hosting company? 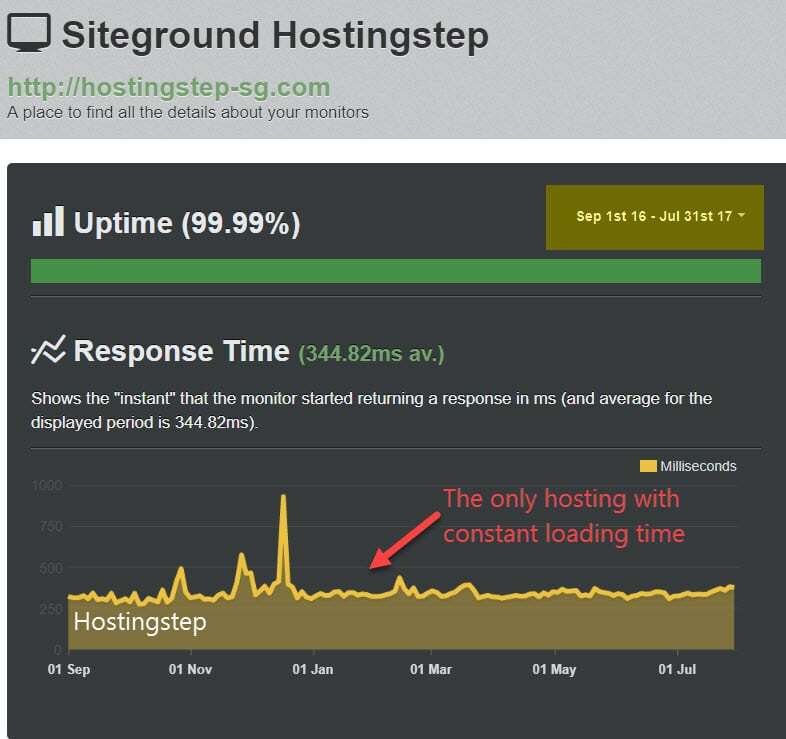 Great insights of #SiteGround hosting with historical uptime, response time and TTFB values. 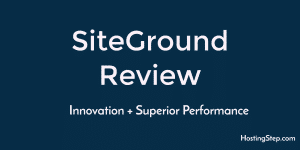 Do you know what's the best thing about SiteGround. All the websites hosted on their servers are placed in Linux containers (LXC). Linux containers are known for the resource efficient, highly elastic and greater stability during unexpected traffic spikes. 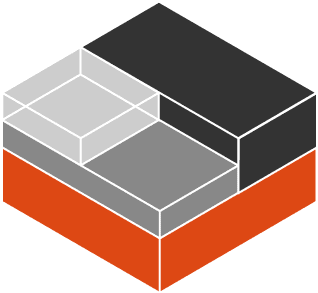 You know SiteGround is the only company offers hosting on LXC containers for just $3.95/month. 2. Ngnix: They operate much faster than Apache which usually specializes in loading static contents faster. 3. 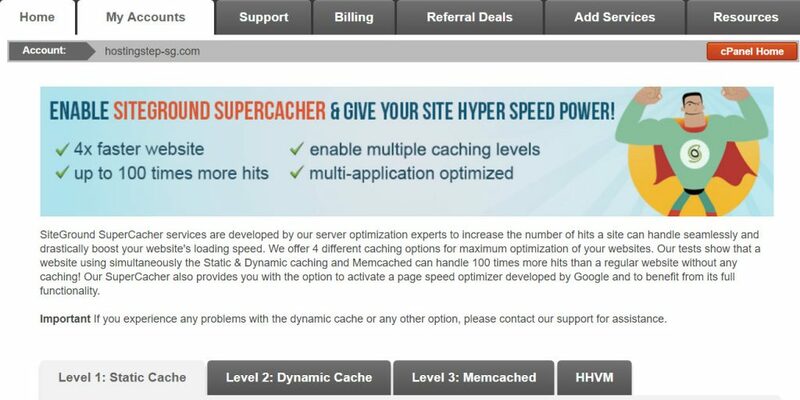 SuperCacher: The consistent uptime of the servers are due to this plugin which was developed exclusively for SiteGround customers comes with numerous caching layers. 4. HHVM : Only few companies on the planet offer this technology. 5. PHP 7 for faster loading time of the websites. SiteGround is really proud of their inhouse DevOps team. Most of the issues will be solved even before the occurrence, that's what the company calls Proactive monitoring. SiteGround offers free daily and weekly backups based on the plans you choose. They built their own backup system for faster restoration of websites. SiteGround was the first company to offer the feature back in 2008. The common problem with shared hosting, if one site gets used with more resources, other sites in the same IP gets affected. To solve this, account isolation is founded. Though the features is common now, I mention it just to tell you, the company is always finding an innovation for hassle free hosting experience. The hosting comes with free CloudFare CDN account which gives you access to faster loading sites for global visitors. 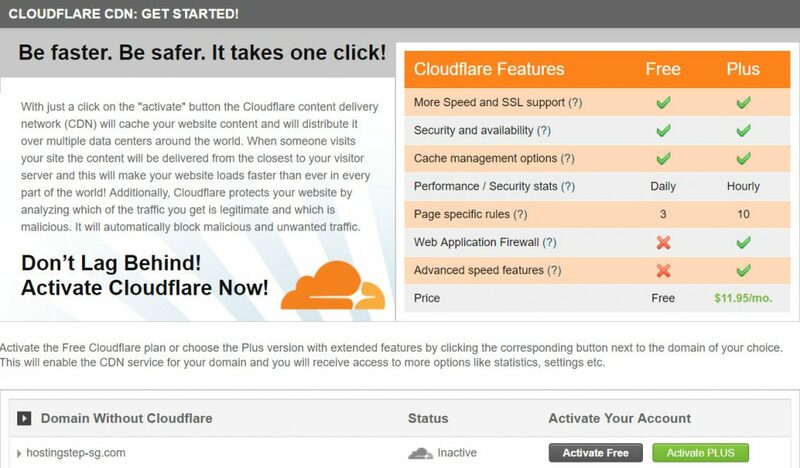 The thing I need to share here is even though Cloudfare offers free CDN, the setup is somewhat difficult for beginners. SiteGround solves the issue with one-click Cloudfare CDN setup inside the account dashboard. While most companies don’t show the CEO and their team details to the public, SiteGround is transparent, and they are keen to show the faces of their team to the world. Even a new support assistant gets introduced to customers through social media sites, and it gives me an trust to host my websites with them. If someone asks me to describe them in a single word, I say "Professional." I can feel the professionalism everywhere be it welcome mail they send during signup, monthly newsletter or Facebook updates about their work culture etc, you can feel the professionalism in their business. Sign up process is simple. Only 3 screens to get started. 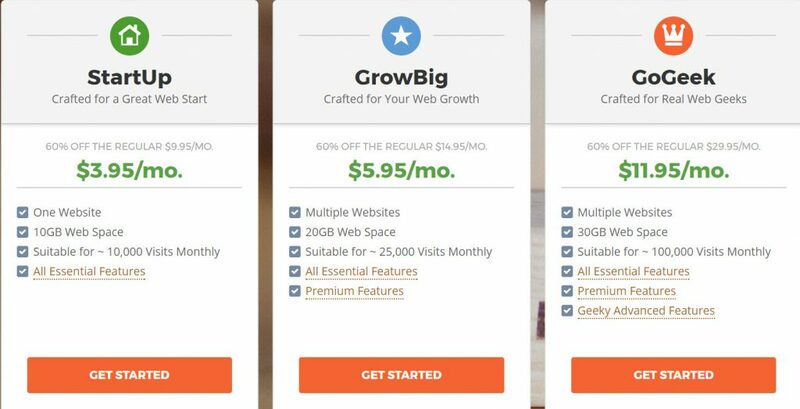 No more up sells, simple to signup. Customer UI and Cpanel images below. The Cpanel might look similar with most hosting provider and the highlighted part is exclusive to SiteGround users. 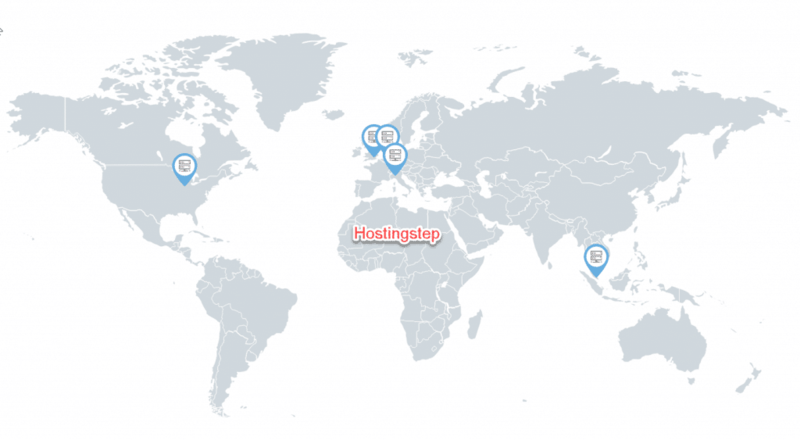 Apart from Shared hosting plan, SiteGround offer managed Cloud VPS and dedicated hosting for its customers (l﻿﻿﻿﻿ea﻿﻿rn m﻿﻿o﻿﻿r﻿﻿﻿﻿﻿﻿e). Free daily backups : For all shared hosting plans. SiteGround managed to get a brand name since its inception. If you're looking for a hassle free web hosting, you should definitely try SiteGround.